Biodegradable polymers are polymers that can be broken down into natural products by enzymes produced by microorganisms present in the soil. Examples include a class of compounds called polyhydroxyalkanoates (PHAs), which are polymers of b-hydroxycarboxylic acids. 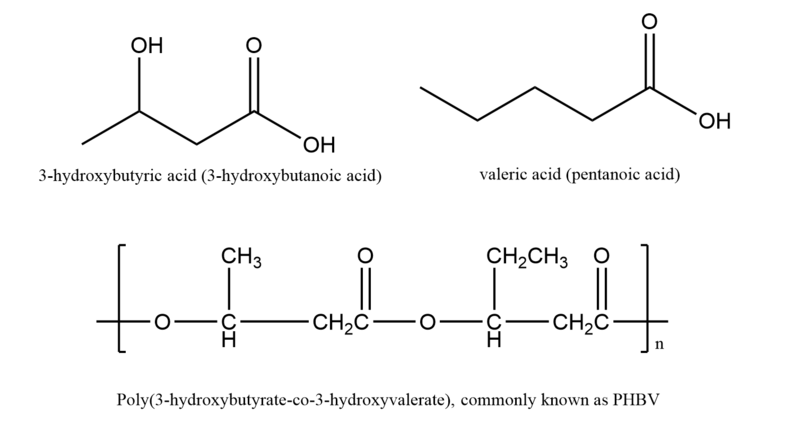 Poly β-hydroxybutyrate – co-β-hydroxy valerate (PHBV):- Is a polyhydroxyalkanoate(PHA) type polymer. 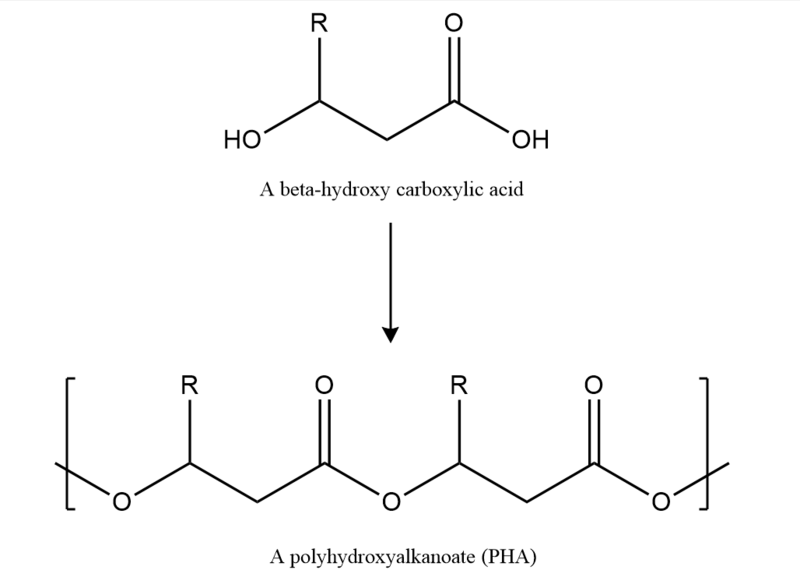 It is derived by combining 3-hydroxy butanoic acid and pentanoic acid, in which monomers are cross-linked by an ester linkage. It decomposes to form carbon dioxide and water. It is brittle in nature, and it can be used in the production of drugs and manufacturing of bottles.